Snap Inc. (SNAP.N) Chief Financial Officer Tim Stone is resigning after eight months in the job, another sign of volatility at the social-media company that sent shares tumbling in extended trading. His sudden departure, following several years of frequent executive turnover, adds to uncertainty surrounding the young company’s future, as it struggles to expand the user base for its Snapchat mobile photo-sharing app. 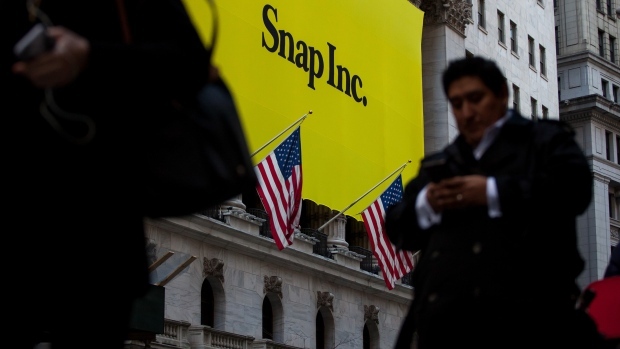 Snap shares, which have fallen more than 50 per cent in the past year, dropped 7 per cent after the close of regular trading in New York following the announcement. Stone, who came to Snap from Amazon.com Inc., was seen as an important veteran executive hire after a lot of tumult. Since the company’s March 2017 initial public offering, most of Snap’s top executives have either chosen to leave or been pushed out, including the heads of legal, strategy, product, engineering and sales. Chief Executive Officer Evan Spiegel’s handling of the departures has in some cases caused friction. When replacing Chief Strategy Officer Imran Khan last year, he offered the job to one person, then changed his mind and offered it to someone else. In August, Snap provided a revenue forecast for the first time, which analysts attributed to Stone improving transparency. “Tim has made a big impact in his short time on our team,” Spiegel wrote in a note to employees. Stone’s resignation isn’t related to any disagreement about the company’s accounting, strategy, financial or other practices, the company said Tuesday in a filing, and he’ll remain in the role until a replacement is named and can take over his duties. Alongside the announcement of Stone’s departure, the Los Angeles-based company said it expects to report quarterly results for sales and earnings before interest, taxes, depreciation and amortization that are "slightly favorable to the top end" of previous forecasts. In October, Snap projected fourth-quarter revenue of US$355 million to US$380 million. Still, when the company discloses earnings on Feb. 5, analysts will be paying attention to a different number: daily users. Snap’s audience has been on the decline for two straight quarters, as users were turned off by a redesign of the mobile photo-sharing app and as competition mounted with Facebook Inc.’s Instagram. Analysts on average also predict a net loss of 19 cents U.S. a share. The company’s shares had gained 3.7 per cent to US$6.54 in regular trading on Tuesday. The stock has rebounded a bit since closing at a record low of US$4.99 in December -- 71 per cent below the IPO price of US$17 a share. Now that Uber and Lyft have filed to IPO, what happens next?